Katlyn Harris leveled the corner of the mysterious painting she’d hung above the hearth. Still captivated by its mysterious allure, she stared deep into the canvas. The figure, barely noticeable at first, blended into the background. An afterthought perhaps, a minor element nestled within the landscape to evoke intrigue like the twists she’d plotted in her manuscripts. But once she brushed away the cobwebs, blew off years of powdery dust, his image captivated her. “Collin,” she whispered. She’d recognize him anywhere––the man who came to her in dreams for as long as she could remember. Katlyn knew him intimately. She’d memorized every detail of his strong, handsome face. From the moment she’d discovered the dusty picture hidden behind a trunk in the attic, his image mesmerized her, beckoned her by day and tantalized her dreams at night. She strolled toward the kitchen, poured her third cup of coffee then glanced at her watch. Jake would be arriving with the rest of her things soon. She was so ready to sleep in her own bed again. Yet the soft lapping of the lake beyond the trees soothed her at night. Here, she listened to the silence, relaxed to the tranquil hush of unfamiliar stillness. She’d almost forgotten the comforting whir of a cricket’s chirp and the soft rustling of squirrels scurrying through the forest. The bustling city traffic lulled her to sleep for so many years, humming like white noise, but the quiet here comforted her, wrapped her in a blanket of silent serenity. Cupping her hands around the steamy mug, she drew it closer, inhaled the rich aroma before sipping the hot, nutty brew then walked back to the parlor. Inheriting her aunt’s home was a Godsend. Not that she delighted in losing her only living relative––a woman she never even knew existed––but the failing economy destroyed Katlyn’s livelihood. When the Washington Herald closed its doors, her column hadn’t been picked up; and despite making the New York Times Best Seller list, The Pegasus Chronicle had yet to bring in the kind of royalties she needed to survive. Her meager savings lasted less than a year, and the $100K equity she’d accrued through almost a decade of mortgage payments simply evaporated. If it hadn’t been for Aunt Kathrin’s will and this rickety old Victorian house Katlyn inherited, her life would have spiraled downward. She’d never envisioned herself living on a secluded cove in the middle of nowhere, but after only a few weeks she’d begun to feel at home here, safe despite the solitude. Rummaging through the old place distracted her from the misfortune, and unraveling the mystery of a reclusive relative rekindled her creative soul. Glancing at the painting again, she felt her heart race. She knew every curve of Collin’s face. Night after night he came to her, enchanted her with his sensuous smile and charismatic charm. The artist captured the morning sun dancing across his face and the shimmer in those mesmeric blue eyes. But why did he look so forlorn? Placing her coffee cup on the mantel, she softly touched the landscape. The clearing behind her house had aged. Trees had grown taller and the underbrush flourished with dense overgrowth now, but the site was unmistakable. Every day for the past two weeks she’d walked down to the lake, sat on the same stone bench, gazed across the glistening water. The sandy shoreline hadn’t changed. Katlyn ran her fingers across the timeworn canvas, stopping for a moment on the obscure figure. Despite the vague brush strokes, she felt his cobalt eyes entice her. All those years she’d thought him only a figment of her imagination, an imaginary friend to help her through her fears. How thrilling to discover that Collin hadn’t been a mere creation of her childhood dreams. Kathrin must have known him. Perhaps she’d tucked away some pictures amongst her belongings, something that would shed some light on who he was, or why Katlyn felt so connected to him. The corners of her mouth curled upward. All her life Kat had felt discarded. She had no family, no one who cared. Kathrin’s Will changed everything. But there were still so many unanswered questions. What did the woman look like? Why was her existence kept a secret? And how did she die? The lawyers told Kat nothing and, though she’d ordered the death certificate, she’d yet to receive it. Kat knew nothing about her reclusive aunt. Why did the woman leave all her worldly possessions to a niece she never even met? The shrill doorbell ring broke the utter silence, jolting Katlyn from her musings. Her heart pounding, she grasped at her chest. “Jake,” she whispered then scurried toward the entryway. The clunking of her heels against the hardwood floors echoed through the scantly furnished room. She peeked through the beveled-glass window, flung open the door. “Wait a second. Stand over there by the hearth and let me get a quick picture of you first. Something to say for posterity.” He teased, flipped out his smart-phone and snapped a shot before she had a chance to protest. Hands on her hips, with her head tilted slightly to the right, she smiled a cute, pouty grin. “Perfect.” He beamed, admiring his photographic prowess. He stuffed the phone into his back pocket. “Can I show you around now?” She raised her eyebrows, crooked her forefinger indicating he should follow her. Katlyn moved room-to-room with Jake in tow, babbling on about each amazing nook and treasured knick-knack. When they finally reached the attic, she pointed out where she’d found her mysterious painting, before leading him to the window seat. They sat for a while, chatting and gazing across the back of the property overlooking the lake. “But what?” Shifting his position, he leaned against the side of the window seat so he could look into her face. As much as Kat would have loved to fall for Jake, their relationship never went in that direction. She felt close to him, loved him, but not romantically, and he felt the same way. Jake was like the brother she’d never had. It seemed odd when she thought about it. With his tall athletic stature, sandy blond hair and violet eyes, Jake was the image of her soul mate, the man she’d dreamed of her whole life. And his honesty stood nothing short of remarkable in this day and age––like a throwback to a simpler era before the me-society replaced integrity. She knew he’d keep his promise, but it would be hard to watch him drive back to D.C., regardless of how long he stayed. By the time the two friends unpacked everything from the truck it was nearly dinnertime. Katlyn’s bed and kitchen table was set in place and the boxes were empty, the contents tucked neatly away. Selling the bulk of her furniture, clothing and trinkets at a massive garage sale was a brilliant idea. It put cash in her pocket and left fewer items to haul across four states. Only absolute necessities and some treasured possessions with sentimental value made the move. Jake hauled the empty boxes out to the street then washed his hands in the kitchen sink. Noticing the keys to Katlyn’s Miata on the windowsill, he grabbed them before strolling into the parlor. Placing her clip on the mantel, she glanced at the painting again. A silvery haze hung over the lagoon as twilight approached. But this morning hadn’t she seen glints of morning sunlight reflecting in Collin’s eyes? “You coming?” Jake shook the keys to draw her attention, held them out to her. She turned toward the front door. “Yes …I just thought . . .” Gazing back over her shoulder, she felt a chill run down her back. The rolling foothills of north Georgia reminded Katlyn of the view along Skyline Drive near the base of the Blue Ridge Mountains. She could tell that maneuvering the winding roads in her little Miata gave Jake a sense of nirvana. A tranquil expression splashed across his face as he gripped the steering wheel tightly, pressed down on the accelerator around each curve and leaned into the swerves. Katlyn cracked an endearing smile, then gazed across the breathtaking panorama. Brilliant colors blanketed the mid-October countryside, now softened by the evening sun. In the distance, drifting clouds hovered below a mountainous skyline and a silvery mist loomed above the silent vale. Kat could almost feel it beckon her. The fog lifted as they approached, revealing a spray of twinkling lights intermingled with neon fireflies pirouetting above a flashing sign appropriately read Facetious Fireflies. “Look, Kat, it’s a carnival.” He veered off the road, pulling onto a grass parking lot then breathed in deeply. “Let’s do it.” Jake jumped over the side of the Miata, walked around to open the door for Kat. A heavily trodden gravel path wound throughout the park, crossing at the midway. After a brief pit stop for hotdogs and fries, they strolled around the grounds. Kat’s eyes gleamed as she drank in the ambiance. How long had it been since she’d spent time at a carnival? She used to love the sideshows and games, but her favorite activity and always been riding the Ferris wheel. Jake indulged her, insisting they ride everything, but saving the carousel for last. “So what’s so exciting about a merry-go-round?” Katlyn nudged her friend, leaning into him. “Rings?” Her eyes narrowed into an inquisitive stare. “Right, I’m sure cosmetic karma bursts through the clouds to bestow wonderful gifts upon you.” Katlyn rolled her eyes. He grabbed her hand, pulled her toward the merry-go-round, a beautifully preserved antique apparatus with flashing lights that spelled out Déjà vu. “Okay, I see what the riders are doing, but what’s the point?” Kat stared as each individual who rode an outside horse strained to reach for the little silver rings. “Well, I’m not sure I have dreams anymore.” Katlyn gazed past the crowd toward the attendant, an attractive man dressed in jeans and a royal blue T-shirt, wiping down the carved wooden animals. When he stepped to the side, she saw the back half of a white horse. She leaned to inspect it more closely and . . .
Jake leaned over and kissed her on the forehead. Katlyn smiled, moved slightly to the left to glance over his shoulder––and froze. The attended moved, revealing the entire body of the carved animal. “What’s wrong?” Jake spun around. Katlyn stood speechless, staring into the nostrils of a sleek white wooden Pegasus. His eyes sparkled like fine sapphires, and she could swear she saw his wings move. His hypnotic eyes drew her closer, lured her forward until she could feel such an intense mystical aura that everything else faded into the background. Now, she couldn’t tell if the odd sensation radiated from the mythical creature or the mysterious man, but it didn’t matter. Whatever the source, she knew she had to mount the horse and ride. “Perhaps you’ve given up on your dreams too easily.” He glared at her as if searching deep into her soul. “The horse has chosen you. And he never makes a mistake.” The man held out his hand to help her aboard. She remained motionless, still mesmerized. The intricate details etched within the horse’s carved body displayed musculature so authentic it almost rippled, and the thick white mane glistened in the twinkling carousel lights. Completely enchanted, Katlyn held out her hand, strode forward. “Kat.” When Jake’s voice echoed beside her, she instinctively turned to look at him, her daze disrupted. “Yes, it’s such an odd coincidence, don’t you think––Pegasus, I mean?” Stepping aboard the ride, she reached for Jake’s hand. “It’s kismet.” He smirked, hopped aboard and kissed her cheek. After lifting Katlyn onto the back of her horse, he slid on the silver steed beside her. When the ride began, he reached over, took Kat’s hand in his and squeezed it tightly. Soft music streamed from the calliope as the carousel picked up speed and the park lights blurred into a constant spray of multicolored illumination encircling the swirling platform. Kat’s head began to spin. She heard Jake’s voice––what was he saying? Katlyn reached as far as she could, stretching her arm, aiming her hooked forefinger directly at the gleaming brass circle perched on the mechanical arm. But the moment she touched the golden hoop, the sky opened into a burst of fiery light. She felt Jake’s hand clinging to hers then watched him dissolve into the mist below, like a fading hologram. Pegasus took flight, transforming into a mighty winged-horse speeding through the mist, and the brass ring expanded into a vast halo before them, opening a portal into another world. The vision shattered reality as if all her dreams morphed into a passionate crescendo bursting into that one moment. The azure sky shone deeper blue than Katlyn had ever seen; a brilliant sun warmed and soothed her. The experience seemed utterly impossible, extraordinary, terrifying––yet she wasn’t afraid. Was she dreaming again, dying, or completely insane? She clung to the mane of her magical dream-horse, intoxicated by sheer bliss. Pegasus flew through the clouds before slowly descending, circling as if searching for something. Gliding between the lush greenery, he softly landed, knelt, and bowed his head so Katlyn could slide from his back. Standing again, he pranced forward to gently nuzzle her, his sapphire eyes glistening in the sunlight. She had no idea what just transpired, but it was the most incredible ride she’d ever experienced. The horse shook his head back-and-forth, stomped his front hoof on the ground. So now what she wondered. A wave of anxiety surged through her with every instinct inside screaming caution; this was more than a simple carousel ride. It couldn’t be real, a dream perhaps, or a manifestation of childhood imagination. Perhaps she’d suffered a heart attack or a stroke. She could have slipped into a coma––or maybe she was dead. Could her winged fantasy have flown her through the gates of heaven? “My job is done. It’s your turn, Katlyn.” Pegasus nuzzled her again, turned and trotted toward the forest. “Wait.” Katlyn ran after him. “You can’t just leave me here in the middle of nowhere.” What do I do? Where shall I go? Before her questions shifted from her thoughts to her lips, a reply drifted into her mind. “Follow your heart.” Pegasus whipped his tail, stretching his neck to the right. “Take the path through those trees. You will find your destiny.” He pranced into the forest, disappearing amidst the dense foliage. Katlyn walked toward the trees to a worn path, followed it through the woods. She heard the familiar sound of water lapping on the shore. Her heart beat faster with every step. The end of the trail opened to a clearing with a lake beyond and a small stone bench––her bench. Pegasus brought her home. But why? She sat, gazing across the lake in astonished bewilderment. What just happened? Jake, where are you? Deep in thought, she didn’t hear him approach. “Who’s there?” Squinting against the bright sunlight, she could see a dark figure approaching from the shadows. Jake? No, it wasn’t his voice. She stood, backed away. One couldn’t be too careful these days. “Who are you? And what are you doing on my property?” She scowled at the man, hoping he’d back away. He didn’t. “Your property?” He walked closer. “I’m afraid you’re a bit confused, Madam. That’s my home atop the hill.” He motioned toward the house and Katlyn glanced upward, shielding her eyes against the brilliant sun. What was he talking about? She’d been living in that house for two weeks now amongst Aunt Kathrin’s belongings. Perhaps this man wandered further down the shoreline than he’d realized. “It is you,” he whispered. Startled, Katlyn realized the man stood only a few feet away now. His sandy blond hair tossed slightly in the wind, and when his cobalt eyes met hers, her heart raced. She could barely breathe, could say nothing. Instead, she stood in front of him completely confused, utterly spellbound––Collin, her Collin. She knew it with every fiber inside of her, but how? She’d acknowledged that Collin was the man in her antique painting and was convinced Kathrin knew him, but the picture must have been painted over sixty years ago. Collin couldn’t be here. Not now, here in her own back yard. Could he? Every rational bone in her body screamed that the last half hour of her life was sheer fantasy. Maybe she’d been thrown off the carousel. That’s it. She’d hit her head and lost consciousness. The flight of Pegasus, her unrealistic desire for Collin…it all churned together in her mind to create a beautiful mirage, but not reality. Collin stood in front of her now, so close she could sense the raw desire rising inside of him. “My beautiful Kat. I’ve dreamed of you my whole life. And now you’re here.” The line of his mouth curled into a soft smile. Touching her own face, Katlyn traced the path Collin’s finger grazed. “What do you mean I’ve come to you?” Her voice trembled with every word. She felt his touch as real as her own. They stood face-to-face. But if she actually saw him, she would have had to slip backward through time, which was absurd, impossible. Time travel only occurred in science fiction …and Pegasus evolved from ancient myths. He’d manifested in the mind of a scared little girl to calm her fears. Neither really existed. Katlyn’s dreams couldn’t have spun her through time––could they? “I don’t understand.” She stared at him, her mind battling to distinguish fantasy from reality. “And yet you know in your heart who I am.” Collin held out his hand to her. “Don’t be afraid.” Reaching down he grasped her hand in his. She felt a surge of energy rush through her body and the woman within awaken. She slid beside him. “But…how?” She stammered, still trying to make sense of what happened. She looked deep into his eyes. “Collin, it really is you?” Reaching up to touch his cheek, she ran her fingers across his face. The face she had memorized, known her whole life. He was Collin, the boy who rode the winged-horse with her as a child, protected her, grew up with her––the man of her dreams, her soul mate. Perhaps she slipped into a coma, a fantasy world, but Katlyn didn’t care. Wherever she was, however it happened, Collin was here, sitting beside her and she could touch him, smell him, feel her desire stirring inside. She had loved him all her life, but never in her wildest dreams did she imagined she’d feel the warmth of his skin next to hers. Collin pulled her close in a passionate embrace and pressed his soft lips over her mouth, then nibbled his way to her neck and ear. “I’ve loved you forever and will through eternity,” he whispered. The floodgates to Katlyn’s soul released and she clung to him, kissing him with a lifetime of pent-up desire. Her body melted into his, stirring a fire deep inside, a passion so strong it defied time. She didn’t know how she came to him. But it made no difference. Collin said they were destined to be together. Perhaps that was why she’d never fallen in love, never been able to think of loving anyone else. Collin was always there, in her head, her dreams, and in her heart. She knew him better than she knew herself. And now, he sat right in front of her; nothing else mattered. Jake grasped her hand firmly while she stretched her body, reaching for the sparkling loop. The lights flashed in wild frenzy, the music intensified––and his stomach turned upside-down. Trying to hold back its contents, he squeezed his eyes, drew in a deep, long breath then slowly let it out. His head spun and he could see nothing but a blur of flashing color. Gripping the pole of his wooden steed, he tilted his head forward and leaned against it to steady himself, still clutching Kat’s hand with a death grip. He wouldn’t let her fall. When the ride began to slow, Jake sat up and gazed over at her––but Kat had vanished. Instead of her hand, he clung to the tether of her white winged-horse. Turning his torso around, he searched for her. Surely the attendant would have stopped the ride if she had been flung from her mount. Had she slipped off? Jake bent over, looking beneath him in every direction. How could she have simply disappeared? Before the carousel came to a complete stop, he slid from his steed, stood at the edge of the ride, still searching for Katlyn. The man shut down the motor, turned off the flashing lights. “Perhaps your friend needed to leave.” He stepped back onto the ride and began to wipe down the horses, then looked over his shoulder at Jake. “You could always check with the security guards in the cabin near the entrance.” With an enigmatic smile, he turned back to his task. “Right.” Jake scanned the area, rubbing the stubbles on his chin. Get a grip, Jake. There had to be a logical explanation and panicking wouldn’t help him find her. He pulled out his cell phone. “Call Katlyn Harris,” he spoke into the microphone as he walked toward the midway. Her number rang repeatedly, but she didn’t pick up. Remembering the picture he’d taken earlier, he scrolled to his photos and wandered toward the security hut. “No. We were riding the carousel and…oh never mind. I’ll find her myself.” Jake stormed out of the cabin. “Rent-a-cops,” he grumbled, shaking his head. He searched the entire park, showing Katlyn’s picture to employees and random patrons alike, asking if anyone had seen his friend. After covering every square inch of the carnival, he reluctantly returned to the Miata. Glancing down at his watch, he wondered if he should call the police, or would they think him mad to report a disappearance less than an hour old? They would surely tell him to wait at least twenty-four. His mind reeling, Jake drove back to her house, thinking about Kat, the first time he’d met her and how oddly incredible their relationship had been. Perhaps she would be there when he arrived. She simply couldn’t have vanished without a trace. He’d been right next to her and he knew in his gut she would never just leave. Something happened, but what? When he pulled into the driveway, he glanced at the empty boxes neatly stacked against the curb. He hadn’t imagined the day he’d spent with her. He’d helped Kat unpack her things, set up her bed, and put her kitchen table together. Riddled with angst, he parked, leapt up the porch steps, then unlocked the door and called out to her. “Katlyn, are you here?” His voice echoed through the emptiness. He ran room-to-room, calling her, searching the house first, then the grounds. Baffled, Jake wandered into the kitchen, opened the fridge and stared blankly at its contents. He wasn’t hungry. But he could use a stiff drink. He strolled into the parlor, hoping to find some triple malt whisky or the makings for a dry martini, but Katlyn didn’t indulge in spirits often. A glass of fine wine was more her style. He walked behind the wet bar, then smiled. Brandy, Cognac, to be specific. That would do. He reached for a snifter next to the wine glasses that hung from a rack on the back wall, poured a shot of brandy then swirled it around before sipping. The smooth liquid burned as it flowed down his throat and he immediately felt the warmth in his stomach. Grabbing the snifter in one hand, the bottle in the other, he ambled across the room, collapsed onto the sofa, his mind still focused on Kat. How could he find out what had happened to her? He was a smart man, resourceful. There had to be a way. Contemplating his cognac, he sipped while wracking his brain. Now, somewhat inebriated, Jake’s mind drifted back to his youth. Unlike Katlyn, he’d had a wonderful childhood, a close-knit family surrounded by love. Of course they had their share of sibling rivalry, but his brother Brian was his best friend and they both adored and protected Alyssa, their baby sister. Katlyn had grown up alone, shuffled between foster homes, while Jake’s life had flourished. His parents had been terrific role models, more in love now than the day they married. But the core of the family was his grandparents. They had a love for the ages. He’d heard their story over-and-over as a child and never tired of it, a magical tale of chivalry, perseverance, and unbridled love that beat every movie he’d seen or book he’d read. His gran’s stories captivated all who heard them. Whether of castles and kings or vampire tales, her writing enticed every reader’s mind or listening ears. But Gran had held sacred the unpublished tales of family lore, volumes of remarkable stories that kept her grandchildren completely enthralled. Though it had been months since Papa and Gran had passed away, Jake still felt their presence, especially Gran’s. But he knew they’d had a wonderful life together and had died peacefully within days of each other. Jake set the snifter down on the coffee table, walked out to his truck. Reaching behind the back seat, he pulled out an old family album he’d brought to show Kat, to share his family with her. Picking up the worn scrapbook, he held it close to his chest and returned to his bottle of brandy. He ran his hand over the book, opened it to the first page, a faded snapshot of Papa and Gran on their wedding day. Page-by-page, Jake examined the photos, remembering tales he’d heard as a boy and treasured memories of his own childhood. The old black and white pictures of Papa and Gran told a story of a passionate love affair and the family that had blossomed from it. Jake hoped to find his soul mate one day and build a story of his own, but for the past year, Kat’s happiness had come first. He closed the scrapbook, placed it on the coffee table in front of him. There had to be something he could do. A rush of anxiety surged down his spine and, running his fingers through his hair, he stood, grabbed his drink, then strolled toward the hearth. The painting, a simple landscape of the back yard, had enchanted Kat. He took a swig of brandy, then moved in closer to study the canvas …the snifter dropped from his hand, crashed to the floor. Jake didn’t flinch. Instead, he stared in disbelief. She had spoken to him across time through the brush strokes of an artist’s hand. She hadn’t been there before when Kat first showed him the landscape. He’d seen the lake, the stone bench, and the lonely young man. But now the picture had changed. The portrait of a solitary man sitting on the bench in the foreground of the lake setting had transformed into one of a man and woman on their wedding day, their hands and hearts clearly entwined. Jake moved in closer, inspected the couple. A year before they died, Gran and Papa had called Jake to their side and told him a remarkable story. Since then, Gran had recounted it frequently, explaining every detail save one. Their story sounded bizarre, impossible. And the things the two of them had asked him to do were eccentric at best, teetering on the verge of senility. At first Jake had shrugged them off, but Gran had been so insistent. They knew their health was failing. Perhaps their minds were waning, too. One would expect that of ninety-year-olds. It didn’t matter though. Jake knew they truly believed every word they’d told him, and he owed them so much. As unusual as their requests seemed, the proposals weren’t dangerous. What harm would it do to humor his beloved, ailing grandparents? Gran said that Katlyn was a distant relative, told him where to find her, how to meet and befriend her, insisting that Kat must find happiness before Jake could find his own. Until the day she died, Gran had begged her grandchild to tell her everything about the woman and wanted constant updates. With stage-four lung cancer, Papa had transferred everything into Gran’s name, expecting she would outlive him. And she did, but once Papa passed, she lost the sparkle that Papa had placed in her eyes. Her frail body gave up and within a week, she had slipped away too. For a whole year prior to their passing, Jake had known that Katlyn Harris would inherit their home with everything in it upon Gran’s death. He would deliver the will, telling Kat nothing about Kathrin, especially the fact that he was her grandson. Now Jake finally understood why. As bizarre as their story had been, Gran and Papa had told him the truth. Now Jake could let go. Touching the canvas, he ran his fingers over the woman in the painting––over the portrait of Kat. Somehow her white winged-horse had taken her back in time to find Collin Morgan, the love of her life. In the event that Katlyn E. Harris for any reason cannot be present for the second reading of my will to be held in my home on 14 February, 2013, I hereby bequeath my property, house, and the contents left therein to my grandson, Jacob Daniel Morgan, for services he provided me beyond the realm of anything one could imagine. Thank you my dear Jake for fulfilling our destiny. Jake folded the letter and placed it on the table, picked up his cognac, then walked back to the hearth and Kat’s painting. He finally had the ending to Gran’s remarkable story, or more accurately, the beginning. Smiling, he pulled out his cell phone and scrolled to the picture he’d taken of Kat earlier that morning and noticed he’d caught her painting as well. Enlarging the photo, he smiled, gaping at the solitary man sitting alone on the stone bench. It was you all the time, Papa. He looked up at Kat’s portrait. Raising his glass, he shook his head in wonderment. “To you, Gran,” he whispered. “I promised you this morning that I’d stay with you until I knew you were happy. And now I know. You had a wonderful life, Kat.” Jake smiled. “I’m honored that you trusted me enough to help you go back in time to find your true love. Kathrin Elizabeth Harris Morgan had finally returned to the arms of her soul mate, Collin. Destiny had been set straight in the circle of life. And the mysterious hidden painting had been Gran’s message in a bottle of sorts, not to Katlyn, but rather to tell her beloved grandson, Jake, that she’d finally found happiness. I hope you enjoyed The Pegasus Chronicle. If so, please leave an Amazon review here. https://www.amazon.com/Casi-McLean/e/B0053XXRJU/ Your reviews are priceless. 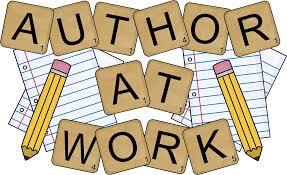 And while you’re there, don’t forget to look for my novels. My debut series, Lake Lanier Mysteries, is a three-book time-slip romantic suspense inspired by creepy lore and supernatural legends attached to Atlanta’s famous man-made Lake Sidney Lanier. Each novel is stand-alone, but some characters carry into subsequent stories. 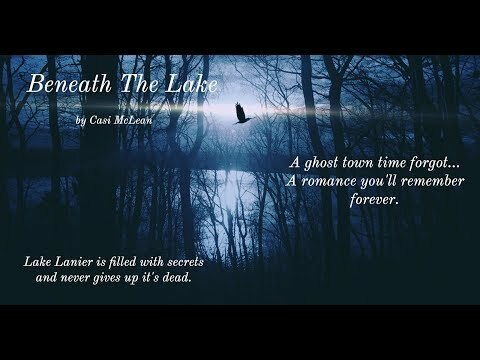 Beneath The Lake, book one, Beyond The Mist, book two, and Between The Shadows, book three, bond together in a cyclone of mystery haunting Lake Lanier, while thrusting characters through the fabric of time. After discovering her boyfriend’s affair, Lacey Montgomery peels away into the throes of a torrential storm, spins out of control and hurls into the depths of an icy, black, lake. She awakens in the arms of a handsome stranger, in a place she’s never heard of, thirty-four years before she was born. When the 2012 lawyer meets the 1949 hunk, fire and ice swirl into a stream of sweltering desire. Bobby is captivated the moment the storm-ravaged woman opened her eyes. Trapped in a web of betrayal set in motion by her father’s rejection, Lacey swears off men, but the charming Bobby Reynolds stirs her passion. The desperation to find her way home dissolves as Lacey falls in love with a town destined to be erased from the face of the Earth, and the man who vows to protect his heritage. 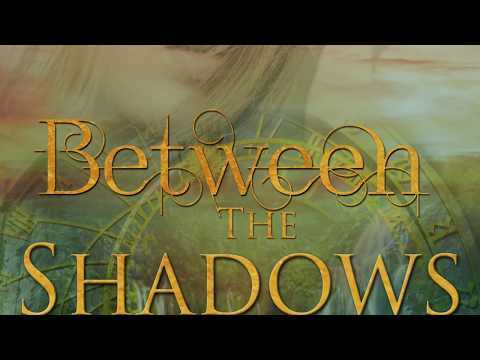 Will they discover the cryptic key to a mysterious portal before time rips them apart? Or will their sprits wander forever through a ghost town buried beneath the lake? A final thud hurled him backwards, flailing through brush and thickets like a rag doll. Grasping at anything to break momentum, Rob’s hand clung to a branch wedged into the face of the precipice. Spiny splinters sliced his skin. Oozing blood trickled into his palms and, one by one, his fingers slowly slipped. When icy water broke his fall, the chill kept him from losing consciousness. He swirled, straining to see, but darkness enveloped him. Soggy clothing pulled him deeper––deeper into the murky, fathomless depths. He wrestled to squirm free from the waterlogged jacket dragging him down to a watery grave, watched the coat disappear into black obscurity. Panic clenched his stomach, or was it death that snaked around his chest, squeezing, squeezing, squeezing the air, the life from his body? Lack of oxygen burned his lungs, beckoning surrender and a chard of rage pierced his gut as reality set in. He lunged upward with one last thrust and burst from the water’s deadly grip, gasping for air. A gurgling howl spewed from depths of his soul and echoed into silence. No one knew he had survived. The rules had shifted––he mused––now he could reinvent himself, become a stealth predator. His target: Lacey Madison Montgomery. A soft mist hovered over the moonlit lake, beckoning, luring him forward with the seductive enticement of a mermaid’s song. Rhythmic clatter of a distant train moaned in harmony with a symphony of cricket chirps and croaking frogs. Spellbound, Nick Cramer took a long breath and waded deeper into the murky cove. Dank air, laden with a scent of soggy earth and pine, crawled across his bare arms. The hairs on the back of his neck bristled, shooting a prickle down his spine that slithered into an icy pool coiled in the pit of his stomach. He clenched his fingers into a tight fist, determined to fight through the emotion consuming him. Fear sliced through his belly like icy shards until he finally heaved, forcing rancid bile to choke into his throat. Bella wiggled her toes in the squishy mud. A cool trickle seeped through, soothing her swollen feet. She loved sitting by the water’s edge, watching the ebb and flow sparkle reflected sunbeams across the river. But today necessity took precedence over pleasure. Her very life held in the balance. She squeezed her eyes, drawing in a deep breath filled with the scent of spring flowers drifting on the breeze. Holding the air a moment before slowly releasing, she centered her thoughts. In the distance, pounding hooves tromped across firm Georgia clay, breaking through the mid-morning silence. Stiffening at the approaching danger, she pressed splayed fingers against the ground to gage the threat. She listened, attentive to their pace and direction. The hoof beats were closing in despite her evasive tactics. Shadowing the creek to confuse her pursuers averted capture, but only briefly. She had little time for pampering wounds or resting tired legs. She must forge ahead with haste. Scooping cool water over her feet, Bella rinsed away soft sludge comforting the blisters that burned and bit at her toes. She blotted the dampness then winced in pain. Thankful she borrowedmore suitable apparel from a random clothesline and abandoned her crinolines when she took to the road, she hastily ripped her undergarment into strips and wrapped the tender injuries. Then, wasting no time, she snatched the clothes from the bushes where she’d spread them to dry, pulled a linen shirt over her head, and tucked the long hem into heavy denim trousers before slipping into her tattered, brown leather shoes. The sentinels following her would have no pity on a spy despite the wiles of feminine charm she could conjure when necessary. A chill quivered down her arms at a fleeting vision of her lifeless body, dangling from a noose, the rope stretched over a branch of an old oak tree. Whether she intended to be a spy or not proved irrelevant. Her blood streamed with inherent curiosity and passion, sealing her fate. Bending to one knee, Bella quickly splashed water on her face then wiped her sleeve across her cheeks. She ran her damp fingers through her hair and, threading her locks into a fat braid, she tucked and pulled until the mound sat snuggly under her gray cap. Instinctively cinching her trouser tie, she paused then let the waistband slack again. If captured, she didn’t want her small waist to reveal her gender. Worse fates existed than dangling from the end of a rope. She listened again before darting through the forest in the opposite direction from the men trailing her. Farther, farther until her chest hurt and she could run no more. Slowing her stride to catch her breath, she pushed ahead as far as she could bear. Her feet burned with pain, compelling her to halt, if only for a moment. She leaned against a willow tree and drew in several long, silent breaths. A crack in the brushwood gave warning. Bella snapped around. Sunlight pierced through branches above, catching a glint of silver-white. A sparkle reflected off a bayonet as the weapon’s owner squinted, his gaze cast upward. She edged behind a bush and crouched, her heart thumping wildly, her breath trapped within the knot in her throat. For more of my books, click this link.